At the mention of convertibles, many people envision a soft top made of vinyl or cloth that folds to open the cabin. However, there are other convertible models that come with hardtops. When they are open, they give the car an ordinary coupe appearance complete with a fixed top. The BMW 4 Series is an upgrade from the BMW 3 series. The only notable difference is the two doors as opposed to four save for the 4 Series Gran Coupe. The prime compact 4 Series is available either as a convertible with a robust folding hardtop or as a coupe complete with a permanent metal roof. The 2018 BMW 4 Series is among the best of its kind and comes with all the specifications and driving capabilities that are a preserve of BMW. Users will enjoy exclusive luxury and massive prestige. This car is a low rider compared to the 3 Series. Further, it features a wider distance separating wheels at the same axle which enhances stability and handling. The BMW M4 features exceptional specifications and capability. It comes with 425 hp and a 406 of torque from its 3.0 liter turbocharged inline-6. Additionally, it has upgraded brakes complete with a sport-modulated suspension. If you are looking for that extra touch of luxury, this is the car for you. It features leather upholstery and lots of tech upgrades for the tech fanatic. Enjoy warmth that emanates from the warm air vents specially designed for the front seats. This makes driving during the cold season more manageable. The BMW Z4 Roadster was first launched as a hardtop convertible in 2009. The new generation model is already available in the market in two versions. The 30i features the latest 2.0 liter turbocharged inline four complete with 295 lb-ft of torque and 255 hp. The M40i comes with a 3.0-liter turbocharged inline-six complete with a 369-lb-ft of torque and 382 hp. The M40i features performance equipment such as M Sports brakes, adaptive dampers, and a limited slip differential which is electronically regulated. The 30i comes with the M40i features which it can efficiently execute in a track handling package. Both versions have 275-width rears and 255-width front tires. You can choose to utilize the standard 18-inch wheels or opt for the 19-inch ones for added sophistication. Suggested read: Is it easier to get a car loan in the military? The latest Jeep Renegade model comes with an enhanced cabin storage space. It comes with removable hard roof panels which makes it the perfect option for the lovers of adventure. You can convert it to an open-topped vehicle making your adventurous trips much more exciting. This car comes with the exceptional expertise credited to the Jeep for the lovers of off-road driving including efficient ground clearance, added suspension, and all-wheel drive. The Jeep Wrangler is a compact SUV that comes with removable sides and roof complete with a flip down windshield. It is the perfect car for you if you are driving during summer. It features an enhanced interior which gives you more quality, comfort, and space. This car has a 2.0-liter turbocharged 4-cylinder engine. You can choose the 2 door Sport or opt for the 4-door Wrangler Unlimited edition. Suggested read: What is a secured car loan? While many people may consider the Mazda MX-5 Miata RF as low ranking, it offers excellent driving performance. Its RF (Retractable fastback) section allows it to change between the convertible and the coupe. While this adds extra weight to the car, it helps you enjoy a cool breeze especially during high temperatures and keeps you warm during winter. Apart from its well-balanced chassis, it offers slick gear changes and accurate steering, features which should convince you to purchase this car. The Mercedes-Benz SLC Roadster is a compact hardtop convertible complete with a turbocharged 2.0-liter engine. It comes with a 241 hp and a specially designed heat reflective and tinted polycarbonate roof. You can take the top up or down fast and with ease even when driving at 25 mph. You can upgrade to the AMG SLC 43 that comes with a V6 3.0-liter engine complete with a superior 362 horsepower. While the latter offers more luxury, it is more expensive than the former. The current Mercedes Benz SLC is a 2- seater prime compact roadster complete with a 241-hp. Still, the SLC 300 features similar specifications. The AMG SLC 43 is a luxury hardtop convertible that comes with a 3.0 liter turbocharged V6 and a 362 hp on the rear wheels only. Other AMG 43 cars come as all wheelers which adds thrill to the vehicle enthusiasts. On its roof is a glass section which changes between opaque and transparent. The Lexus IS C will give you a Toyota level structural capability. It does not feature the sporty suspension system. However, since it’s a sports car, you will enjoy various comfort features. Car experts opine that it is a logical choice rather than an emotional one compared to its German competitors in terms of reliability. You can choose between a 3.5 liter V-6 306 hp or a 2.5 liter V-6, 204 hp beneath the Lexus IS C’s hood. Transmission options include a 6-speed automatic or a 6-speed manual. The BMW 3 series comes with minimal trunk space though it resembles the coupe. The available second hand 3 Series convertibles offer a 6-cylinder, 230 hp, and 3.0-liter base motor. You can choose to upgrade to the 3.0 liter turbocharged 6-cylinder mill which enhances the ante to 300 horses. Many people opine that the Chrysler 200 offers average driving power. However, it is one of the affordable hardtop convertibles that can accommodate four passengers with ease. Its 3.6-liter 283 hp V-6 is available in limited trim models and offers a big boost in terms of acceleration unlike the 2.4 liters 173 hp 4-cylinder motor. The engine often comes with a 6-speed automatic transmission. While the Infiniti G37 is not as popular as its rivals, it is a robust car that comes with a 3.7 liter 325 hp V-6 engine. It comes with a 6-speed manual transmission which you can upgrade to a 7-speed auto box and a polished styling. The G37 drop top can accommodate 4 passengers of moderate weight and height. The Volvo C70 was relatively modified in 2013 and was meant to be both a convertible and a coupe. This is why it comes with one of the most unique retractable hardtops in the market today. It features a decent interior room which makes it convenient for use as a daily vehicle. This car has a 5-cylinder engine complete with a 227 hp and a turbocharged 2.5 liters displacement. If you are a fun of folding hardtop convertible VWs, then the Eos is the perfect choice for you. It offers excellent cornering and steering characteristics which are a preserve of VW. Its 2.0 middle range turbo come in different power guises which include; 160 bhp, 140 bhp, and 210 bhp. It has comfortable seats and a glass roof that slides to protect users from the scorching sun. The Chevrolet Camaro is a redesigned sports car that comes with extra bold appearance, advanced technology, and exclusive performance. It features a turbocharged 2.0-liter engine and 295 lb-ft of torque, and six-speed manual transmission. The modified model comes with a dependable LT1 V-8 and a 10-speed transmission. Users will enjoy the additional and exclusive controls, software, and other tech features which the manufacturer opines are meant for fun. The 2019 Volkswagen Beetle comes with a turbocharged 2.0-liter 4-cylinder engine complete with a 174 hp and a six-speed automatic transmission. It does not come with a manual option. This car has a suspension and a rapid response. It features a combination of retro and vintage theme but lacks sufficient space. The beetle is designed to offer comfort rather than deliver a fun driving. It has a balanced chassis and direct steering. While convertibles often display a flex characteristic especially when driving on bumpy roads, the current beetle model is more advanced and more stable. 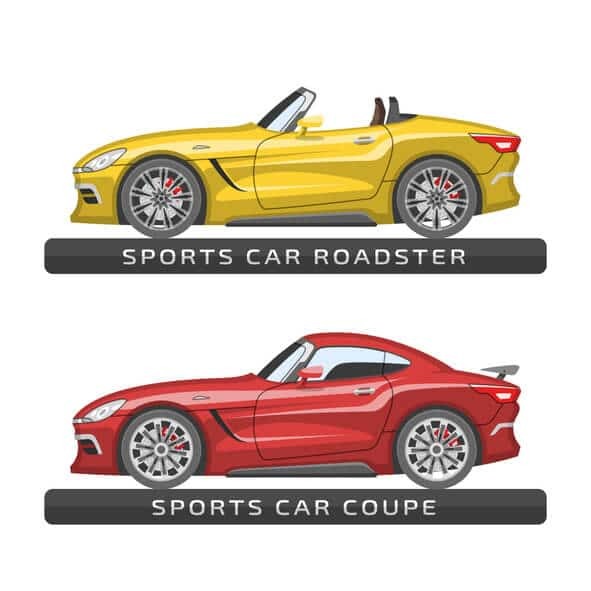 If you are looking for a hardtop convertible to use in summer, you can choose one from the above list. Apart from offering a maximum driving experience, they are affordable and display enhanced performance. You can even use them for your daily driving.